We’re privileged to partner with renowned, international manufacturers and subcontractors in the aerospace industry: Boeing, Rolls-Royce, Pratt & Whitney, Bombardier and Heroux-Devtek are all regular customers of IST. Located within a hub of constant innovation, our facilities are just minutes from Greater Montreal, the only place in the world where an entire aircraft can be manufactured and assembled insides a radius of 200 km. 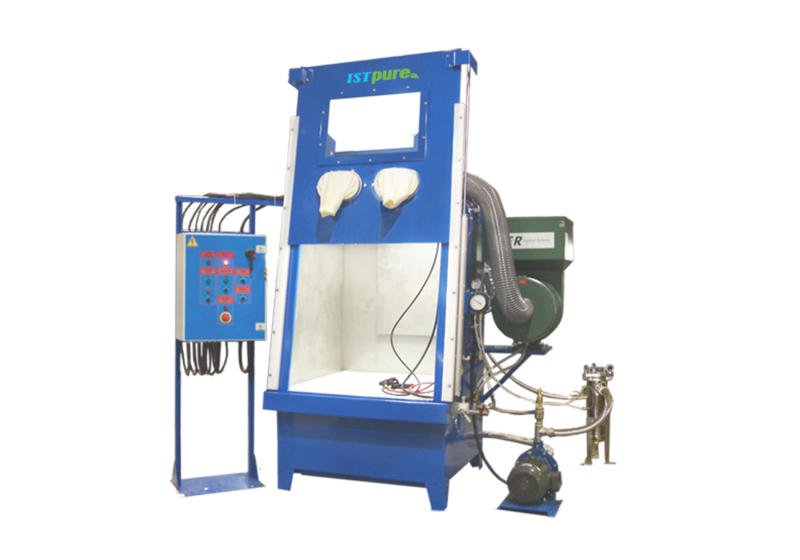 IST offers a wide range of sandblasting cabinets as well as custom-designed cabinets to achieve any industrial applications. Whether you want to clean, etch, sculpt, deburr, finish or peen, we have a solution for all your surface preparation needs. 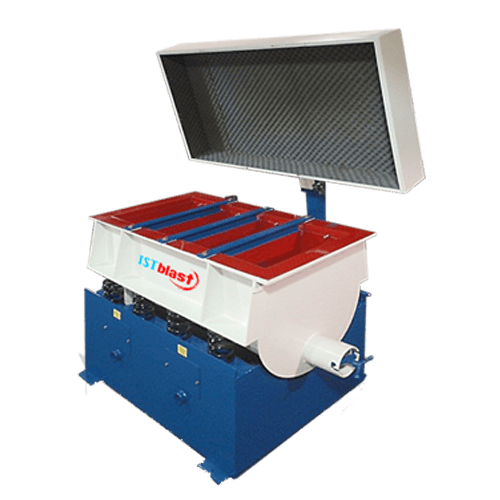 We have designed and produced many automated pneumatic blast systems, ranging in sophistication from continuous and indexing turntable cabinet to machines with computer controls developed specially for unique production processes. 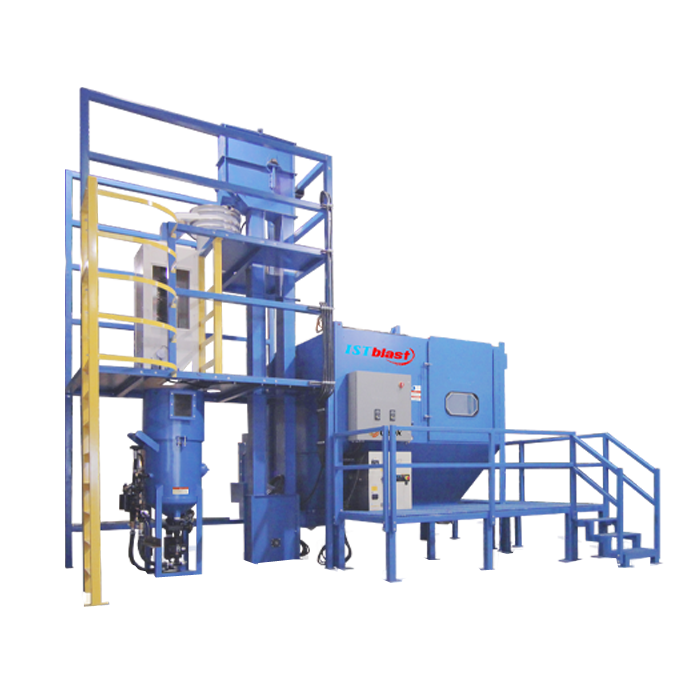 Shot Peening is an essential process in many industrial sectors, primarily in the aerospace industry. Drive components (i.e. gears) and wings are often subjected to the shot peening process in order to induce compressive stress, which considerably reduces the risk of fatigue cracks during their operation. 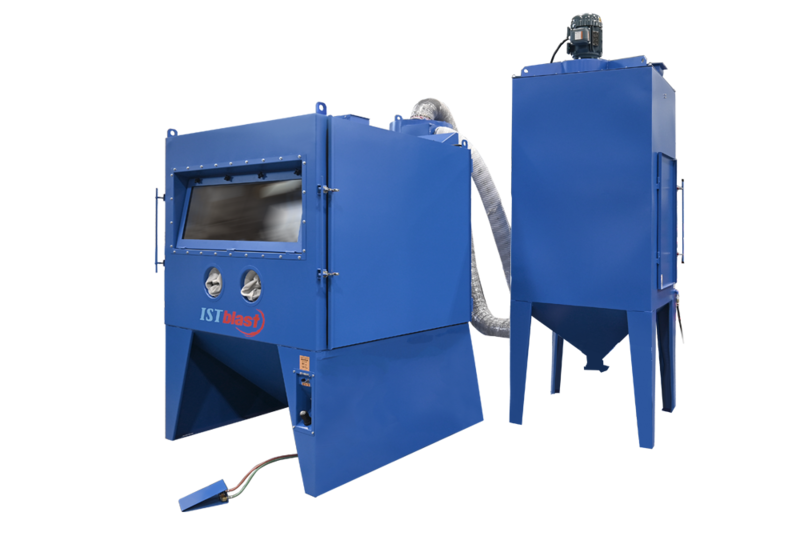 IST is a North American leader in the field of design, fabrication, and installation of abrasive blast rooms. 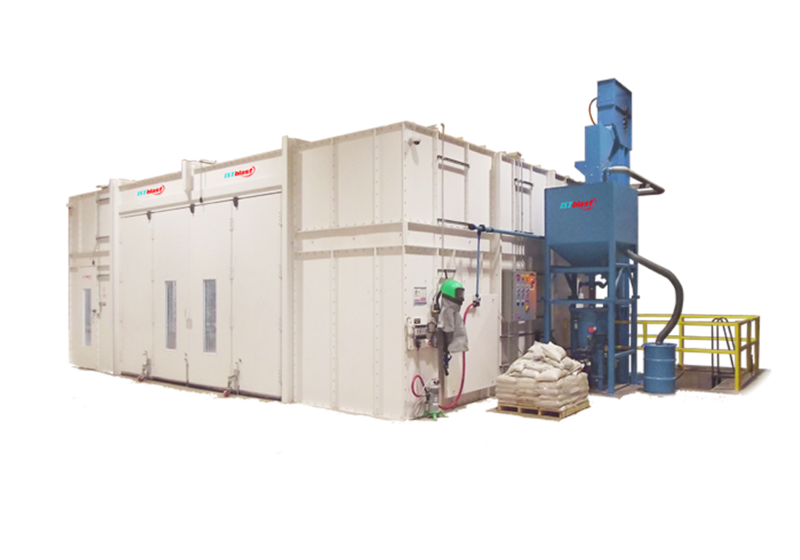 We have designed as many different blast room configurations as there are process challenges that our clients wanted to overcome. The only thing they have in common is their ability to save substantially on their production costs and abrasive purchases. 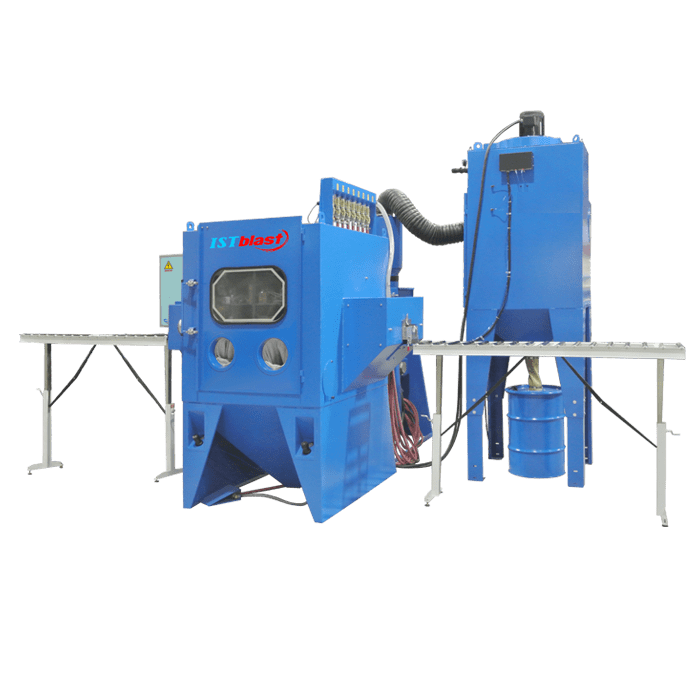 Industrial self-cleaning Downdraft Table helps eliminate smoke dust and fumes right from the source of production, keeping your workers breathing zone safe and breathable. 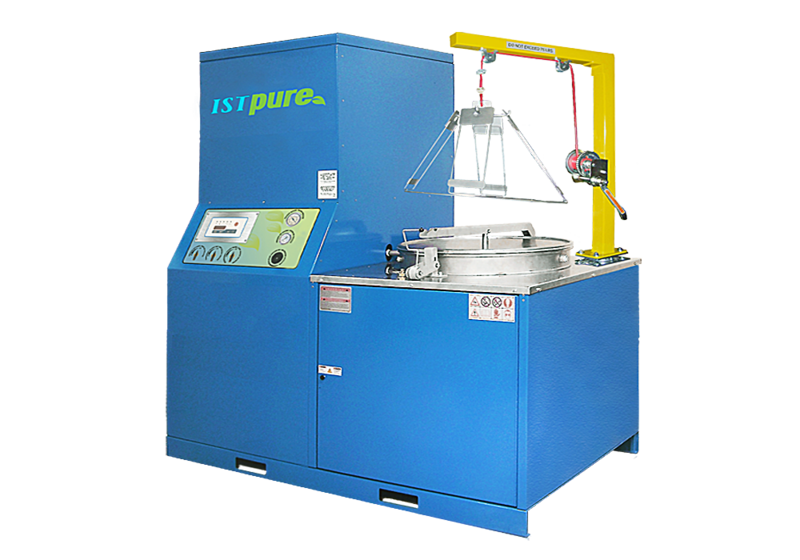 Vibratory Tubs are used for finishing mid to large size parts, topically for deburring, fine finishing, polishing, burnishing or radiusing, and can generate specific finish requirements such as pre-plate finishes. Several parts can be treated at once by using optional dividers. 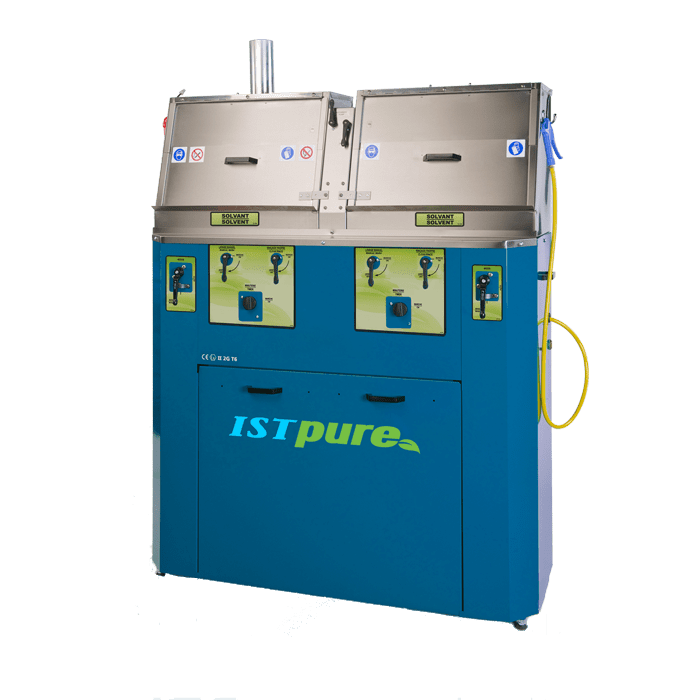 ISTpure’s ultrasonic cleaning technology is a powerful and eco-friendly solution to clean and restore parts in a variety of shapes and sizes, including hard-to-reach blind holes and cavities, in minutes using simply tap water or specialty soaps. Our Spray Gun Cleaners are versatile and durable systems designed for in-depth cleaning of all type of spray gun equipment in seconds. All cleaners have ergonomic working heights and are suitable for both solvent and/or waterborne paint equipment. 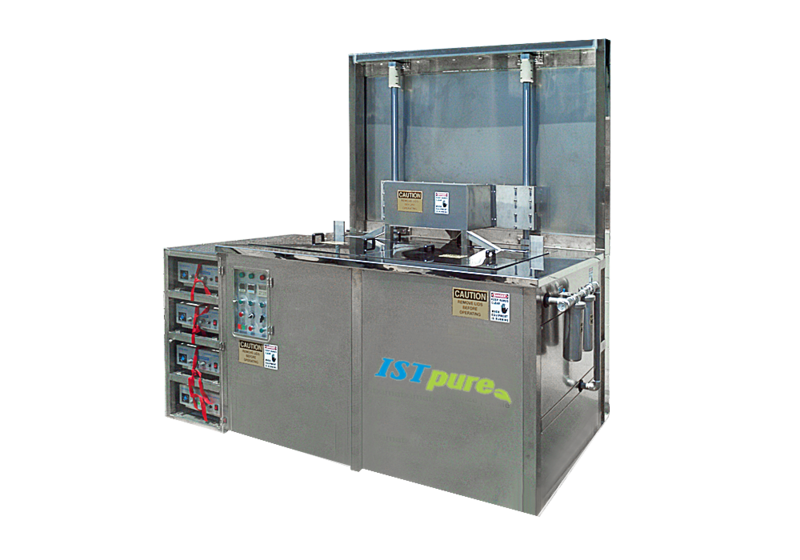 ISTpure’s on-site Solvent Recycling Systems are a cost-effective solution for safely recycling solvents and other hazardous chemicals from your industrial processes. Our systems are easy-to-use, require low maintenance, and are built with robust and corrosion-free stainless steel tank. 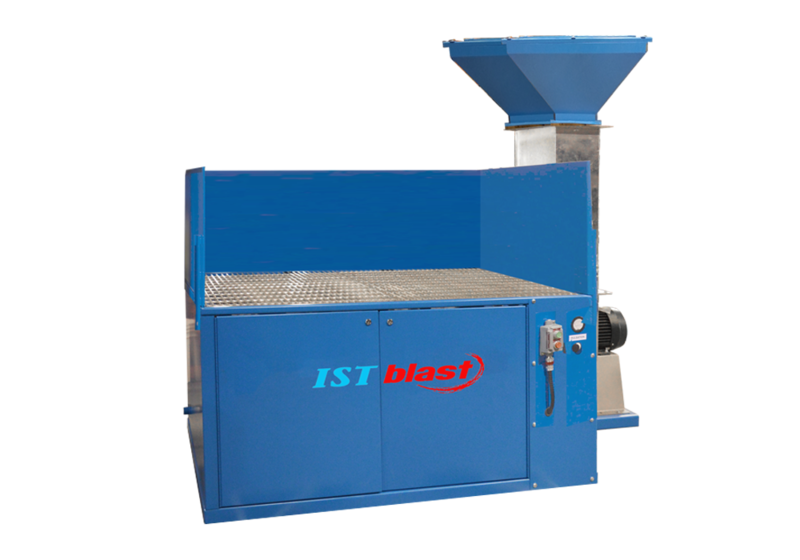 IST offers a wide range of standard and custom parts cleaning solutions using aqueous technologies, tap water or solvents-based cleaning solutions designed for any applications.